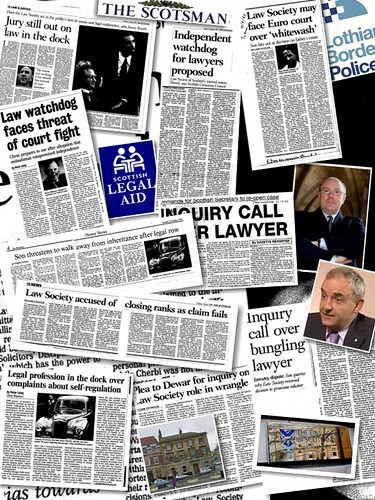 Media investigation exposes criminal records of Scots Prosecutors. 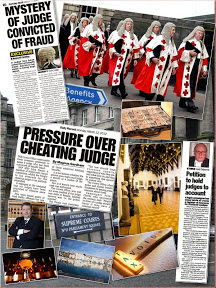 AMID THE charm offensive around the appointment of James Wolffe QC to the position of Lord Advocate – the centuries old position in charge of what is now the £112m a year Crown Office & Procurator Fiscal Service (COPFS) - it has emerged transparency has been given the axe after the Crown Office refused to release further details of serous criminal offences committed by COPFS staff and prosecutors. 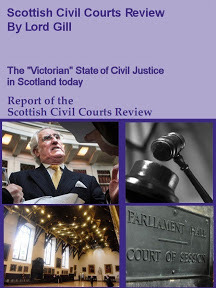 Among the criminal charges against Scots Prosecutors – revealed earlier this year in a media investigation- are charges relating to misuse of drugs – thought to relate to the use of, or potential dealing of Class A substances such as cocaine, assaults against Police Officers, threats, perverting the course of justice, and breaches of the Official Secrets Act. 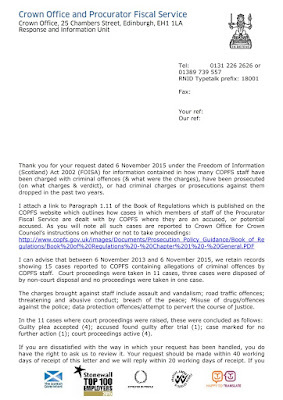 Journalists again approached the Crown Office again for information relating to specific charges against COPFS staff including those relating to Misuse of drugs offences, what kind or type of drugs related to the charges, and information contained in what specific charges were made against COPFS staff in relation to “offences against the police”. 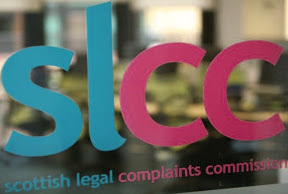 However, the Crown Office refused to release any further details of the criminal offences committed by their own team - on the basis disclosure of the information may lead to the identification of those found guilty of serious criminal offences. 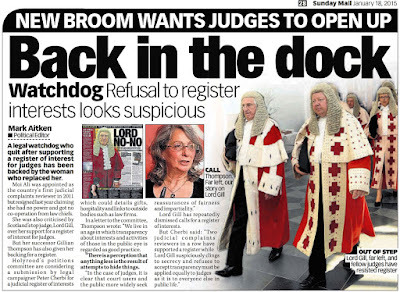 The shocking move by the Crown Office under the charge of newly fast-tracked QC & Solicitor General Allison Di Rollo, and Lord Advocate James Wolffe QC - comes as figures emerge of even more criminal convictions of Crown Office Prosecutors and staff. 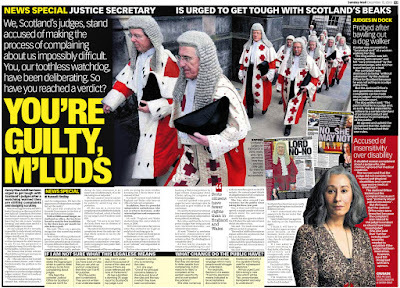 In addition to 15 cases of criminal charges raised against Prosecutors & COPFS staff already revealed in an investigation by the Scottish Sun newspaper in March 2016, the Crown Office have now been forced to admit a further 15 cases of criminal charges against their own team – between 2010 and 2013. And, only 4 out of the 15 cases of newly revealed criminal charges against Crown Office employees & Prosecutors were taken to court. 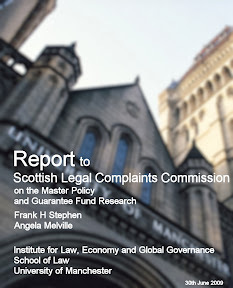 Between January 2010 and November 2013, we retain records showing 15 cases reported to COPFS containing allegations of criminal offences by COPFS staff. 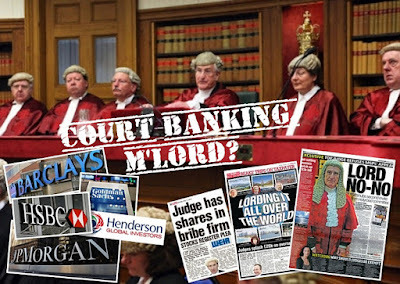 Court proceedings were taken in four of those cases, eight cases were dealt with by non- court disposal and no proceedings were taken in three cases. 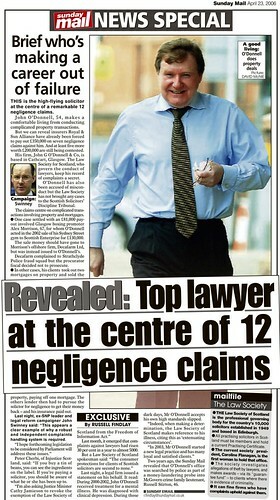 The charges brought against staff include assault; road traffic offences; breach of the peace and computer misuse. Guilty verdicts were recorded in the four cases where court proceedings were raised. 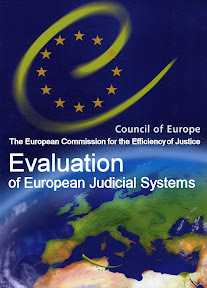 The new information comes after COPFS previously admitted it retained records from November 2013 to November 2015 showing 15 cases reported to COPFS containing allegations of criminal offences by COPFS staff. Court proceedings were taken in 11 cases, three cases were disposed of by non-court disposal and no proceedings were taken in one case. The charges brought against staff include assault and vandalism; road traffic offences; threatening and abusive conduct; breach of the peace; Misuse of drugs/offences against the police; data protection offences/attempt to pervert the course of justice. In the 11 cases where court proceedings were raised, these were concluded as follows: Guilty plea accepted (4); accused found guilty after trial (1); case marked for no further action (1); court proceedings active (4). 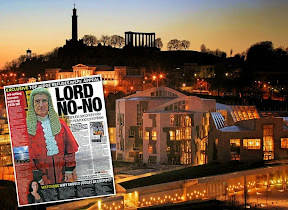 And – the Scottish Information Commissioner (SIC) – who was asked to review the Crown Office refusal to disclose further details – said it could not become involved in the investigation, citing rules which allow the Lord Advocate to deem secret any information or data he so choses. 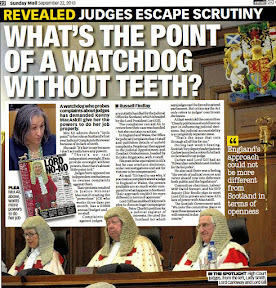 The SIC said it could not act because “Section 48 of the Freedom of Information (Scotland) Act 2002 states that no application may be made to the Commissioner following on from such a request for review where information held by the Lord Advocate as head of the systems of criminal prosecution and investigation of deaths in Scotland. This includes any information held by the Crown Office in connection with the investigation and/or prosecution of crime, or the investigation of sudden deaths and/or fatal accidents. 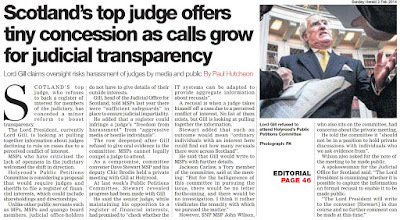 It has now been suggested internal COPFS processes governing which staff are assigned to cases have broke down on many occasions, resulting in Crown Office employees with criminal records working on key prosecution cases – some of which suspiciously collapsed. 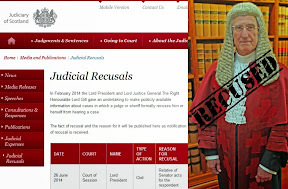 Speaking to Diary of Injustice earlier this week, a leading Criminal Defence solicitor suggested it may now be worth asking Procurators Fiscal to declare – in court- any criminal charges or convictions before they proceed to represent the Crown in a prosecution. 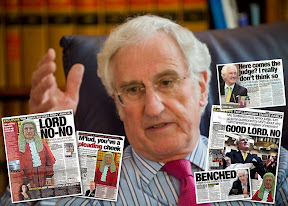 In certain cases, prosecutions may well have been compromised after Crown Office personnel leaked information to criminals – as occurred in one case (among others) where a COPFS employee was found guilty of breaking the Official Secrets Act and passing details to known crooks. 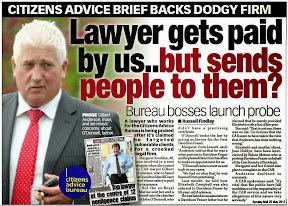 The revelations of Crown Office informants handing over key files and tips on COPFS investigations to crooks are a considerable blow to law enforcement organisations such as Police Scotland and international law enforcement organisations from other countries – who share evidence with the Crown Office in the hopes of putting away criminals, drug dealers and gangsters. 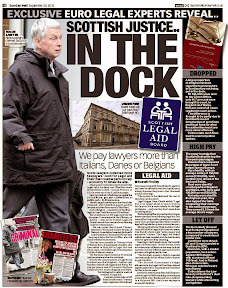 Crooks among Them – Prosecutors own crime gang revealed. The only case where a COPFS employee was found guilty after trial relates to that of Iain Sawers, 27, from Edinburgh, who was found guilty of passing information to the criminal fraternity - during a seven-day trial at Edinburgh Sheriff Court in September 2014. 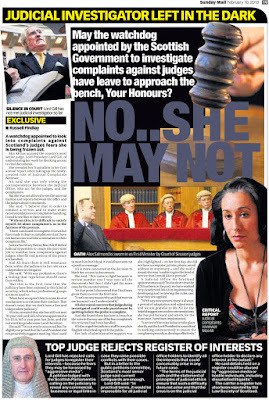 A jury found Sawers guilty on a charge of attempting to pervert the course of justice, the Official Secrets Act and nine under the Data Protection Act. The jury also found Stewart guilty of attempting to pervert the course of justice and breach of bail. 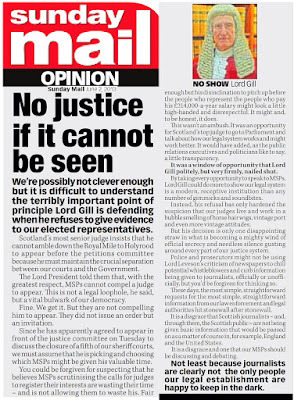 Neither men gave evidence during the trial – much to the relief of the Lord Advocate. The Crown Office also admitted 40 staff had been subject to disciplinary action, been suspended, dismissed or have been moved to other duties as a result of disciplinary action between January 2013 to late last year and that 14 of those staff members were suspended in the period requested. The reasons for suspension included allegations related to potential criminal activity and/or charged by Police; and breach of trust. Of the 40 members of staff who were suspended, 10 were dismissed from the Crown Office. However officials refused to identify the reasons for their dismissal, insisting they wished to protect the identities of their colleagues and nature of the sackings. 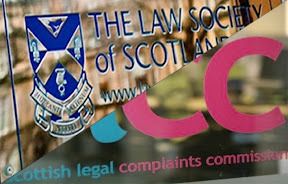 A legal insider has since indicated former Crown Office staff including some of those who were sacked for disciplinary offences or had left COPFS in relation to allegations of criminal conduct or criminal charges - are back working with private law firms and public bodies with links to the Scottish Government. 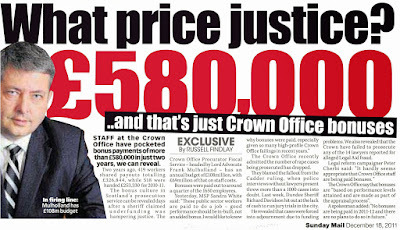 COPS charged 15 Crown Office workers with crimes including drugs, police assault and perverting the course of justice. Violence, vandalism, threats and data breaches were also among the alleged offences. And 11 of those cases reported over the last two years went to court. 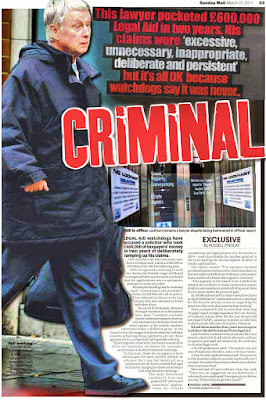 A source said: “The nature of the criminal charges are very serious. Four of the 11 employees taken to court pleaded guilty, one case was dropped, four are ongoing and the outcome of one is unknown. It's thought Edinburgh Procurator Fiscal’s office worker Iain Sawers, 26, is the only one found guilty. 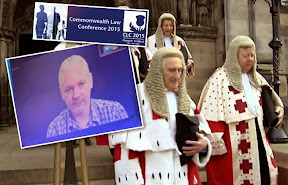 He was jailed for 18 months in 2014 for attempting to pervert the course of justice by leaking details of cases. The information about staff charges from the two years to November 2015 was unearthed using freedom of information laws. Similar data on police officers accused of crimes is published by the Scottish Police Authority. 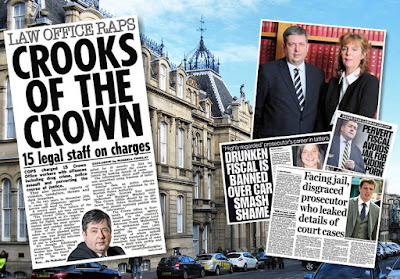 The Crown Office is Scotland’s prosecution agency headed by the country’s most senior law officer Lord Advocate Frank Mulholland. Not too difficult to work out from the numbers case workers or PFs appearing in court have disciplinary records or criminal convictions. 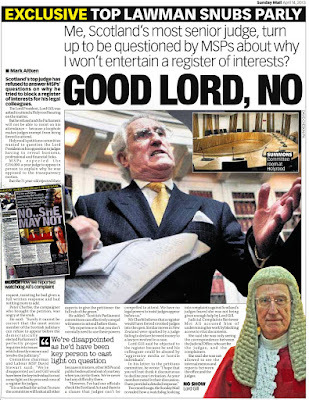 Defence Solicitor quoted has a point. 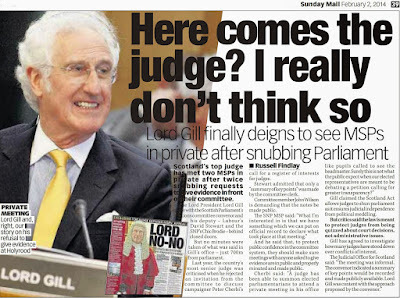 If PF convicted of criminal offence depending on seriousness his reliability called into question. PF will say same of any witness with criminal record appearing for defence. 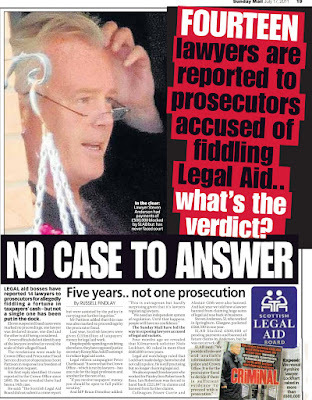 Class A drugs conviction and prosecuting drugs related offences raises serious questions.Accused has right to know. "The charges brought against staff include assault and vandalism; road traffic offences; threatening and abusive conduct; breach of the peace; Misuse of drugs/offences against the police; data protection offences/attempt to pervert the course of justice." Well done for getting it out there!I can imagine all the hurdles placed in your way!Good to know there are a few people like you on side for the masses! 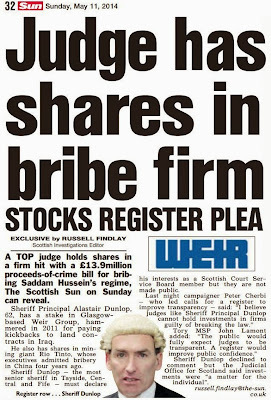 Is there any part of Scotland's legal system where honesty remains?I suspect not! Whoever the cocaine snorting drug dealing scum at the Crown Office is they will be reading your blog and looking over their shoulder to see who is watching.Only a matter of time before scum like this at the centre of the justice system is caught out. 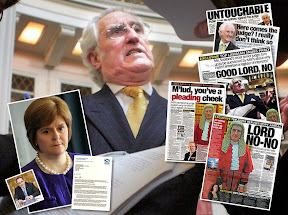 A sobering thought isn't it.All the rubbish printed about Wolffe put in the top job by Nicola Sturgeon and yet his new Crown colleagues snort cocaine on their desks and buy it from criminals they are sworn to prosecute.Weird world huh! 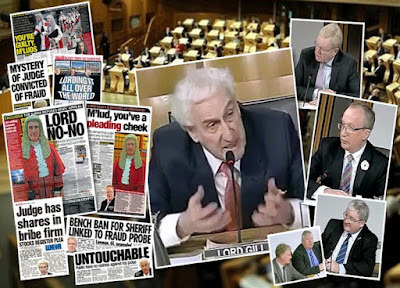 Yes Peter there is corruption right at the top of the Crown Office and if you saw Sturgeon today at Ministers questions trying to excuse away the child rapists getting community orders we all know how corrupt and rotten Scotland has become under their rule.God help us! Where are the Crown coke heads tonight?Propped up against some young rent boy in the dark alley of Advocate's close? Comparing this with how the press usually report on convictions of Police Officers I am refreshed to see someone actually report crimes carried out by the Crown Office who are effectively the handlers for Police Scotland. 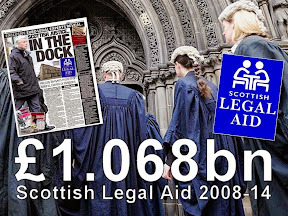 add to this incessant BBC coverage of crooked cops http://www.bbc.co.uk/news/uk-scotland-26856483 but not one mention by BBC of corrupt judges convictions or lawyers getting away with it or the Lord Advocate's own staff criminal convictions and the drugs charges against prosecutors. 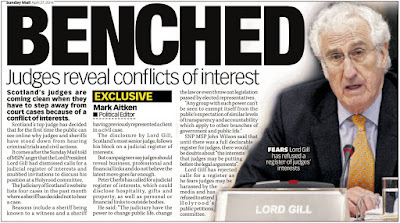 Absolutely incredible they have no shame.Amazing they get away with this kind of bias and we license fee payers are forced to pay for their biased one sided news that prohibits any mention of crimes committed by the upper reaches of the vile legal fraternity. 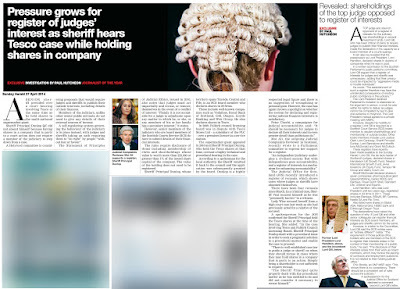 What a scandal.How do they manage during a hearing?Does the sitting judge instruct the jury and onlookers to avert their gaze while the Fiscal has an indiscreet snort of cocaine? Very interesting the comparison comment with how bbc go after the Police but not others in same circumstances.Media bias at their best. 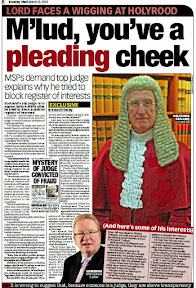 How do you think a jury in a major ongoing trial would react if they were told the strangely mannered man in front of them representing the Lord advocate has only avoided criminal charges himself because he put away a few villains in his time and they may come knocking on his cell door if the law is equally applied. 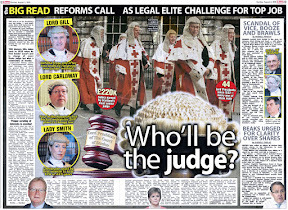 The reason Scotland's prosecutors and most maybe even all of the justice system is corrupt from the judges down is because a lot of politicians are just as greedy and corrupt and because the judges see this know this and know more about them than we do they are all allowed to be corrupt and do what they want. 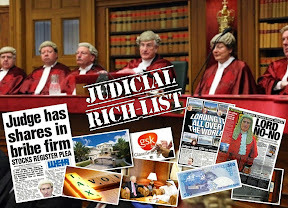 All the new SNP MSPs swimming in luxury flights all over while they pretend to talk about homelessness and foodbanks and at the same time their lawyer friends and families in the legal profession judiciary and everywhere else gorge themselves on corruption and cash. SCOTTISH MPs enjoyed almost £600,000 worth of taxpayer-funded business-class flights last year, up tenfold on the previous 12 months. The increase is almost entirely down to the new intake of SNP politicians eschewing economy fares in favour of the more expensive fully flexible tickets, recorded as business-class by the parliamentary watchdog, between London and Scotland. The 56 Nationalists - including expelled former members Natalie McGarry and Michelle Thomson - claimed £576,316 for business-class flights in 2015/16. Scottish Secretary David Mundell claimed a further £8,458, while Labour's Ian Murray and Lib Dem Alistair Carmichael - whose Orkney and Shetland seat is the furthest from Westminster - flew only economy. 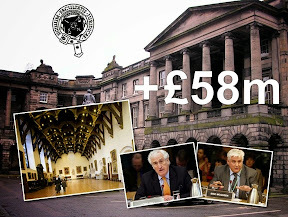 This was a huge increase on the previous year, when Scottish MPs claimed only £60,574 for business-class flights, and around three times as much as any of the five years of the previous parliament. At the same time, the amount claimed for economy flights fell dramatically last year. 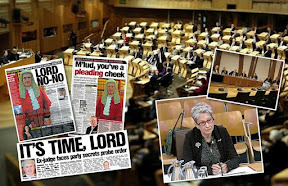 One senior MP said: "It has been entertaining to watch the way in which the new SNP MPs have quickly grown to enjoy the Westminster life which they have always been swift to condemn." 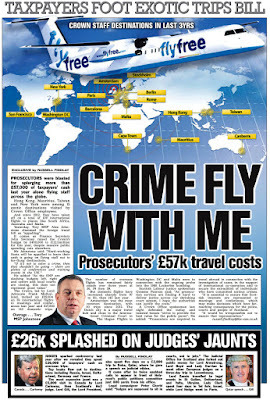 The highest claimant was Western Isles MP Angus Macneil, who enjoyed £18,151 worth of business-class air travel. 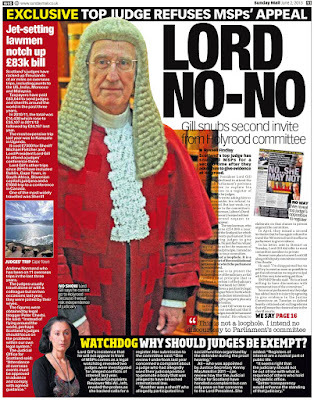 He was followed by Ronnie Cowan (Inverclyde), Brendan O'Hara (Argyll and Bute) and Tasmina Ahmed-Sheikh (Ochil and South Perthshire), who all claimed more than £15,000. The seven Glasgow MPs - Alison Thewlis (Central), Chris Stephens (South West), Stewart McDonald (South), Natalie McGarry (East), Anne McLaughlin (North East), Patrick Grady (North) and Carol Monaghan (North West) - claimed a total of £75,536. 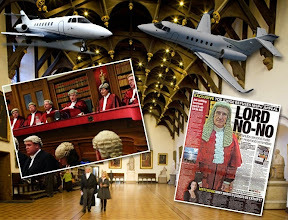 By contrast, their Labour predecessors claimed just £27,032 for business-class flights over the entire five-year term of the previous parliament. 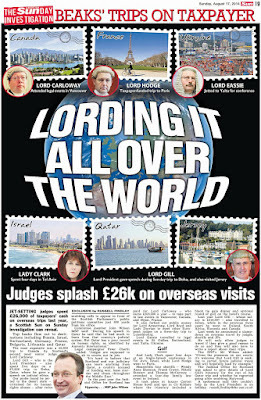 Other notable business-class travellers included Mhairi Black, who once claimed Westminster had a "sense of entitlement that still oozes out of the pores of this discredited institution". The Paisley and Renfrewshire South MP claimed £13,530 for 40 flights between Glasgow and London last year, although she flew economy just once - a £108 budget hop from Stansted. 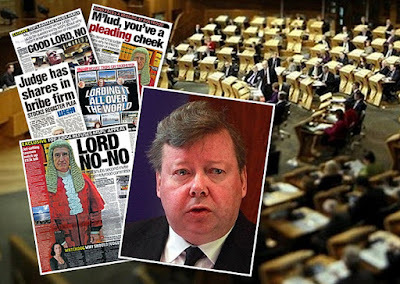 One Westminster insider pointed out that few of the current cohort of Nationalist MPs were even in politics during the expenses scandal of 2009. They added: "The habits of the previous Labour and Lib Dem MPs were shaped in large part by the expenses scandal and that was the point at which people really did start taking care and attention over the way in which they organised things like flights." British Airways' Club Europe business-class service includes access to private lounges, priority check-in, extra space and complimentary food and drink - including Heidsieck Monopole Champagne. 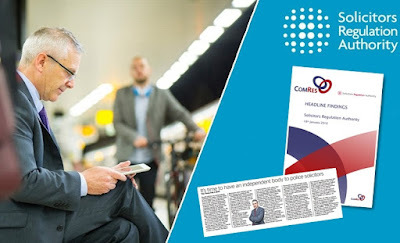 According to the Independent Parliamentary Standards Authority (IPSA) rules, MPs can claim for business-class travel only if the ticket costs no more than the most expensive flexible economy fare available at the time of booking. A spokesman said: "There has been an increase in the number of business-class flights but it is within the rules and we haven't received any complaints." However, an SNP spokesman insisted the jump was down to the way IPSA recorded fares. He added: "These fares are booked through an appointed agent in Westminster. They are not business-class flights but fully flexible fares which IPSA records as business-class. It does not mean MPs are upgrading from economy class." Glasgow East MP Natalie McGarry has been charged with fraud offences. She had been under investigation by police after a pro-independence group reported a potential financial discrepancy in its accounts. Ms McGarry, 35, had been one of the 56 SNP MPs elected in last year's general election. She withdrew from the party whip when the allegations were made last November, and has been sitting as an independent MP. 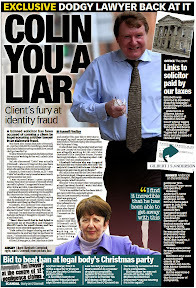 The investigation into Ms McGarry centred on her involvement with Women for Independence (WFI), which was set up to campaign ahead of the referendum in September 2014. WFI called in police after spotting apparent discrepancies between donations made to the organisation and its expenditure. The allegations are believed to involve a five-figure sum of money. It is understood the charges against Ms McGarry also relate to her involvement with the SNP Glasgow Regional Association. Ms McGarry's lawyer, Aamer Anwar, told BBC Scotland that the MP had voluntarily attended Govan police station in Glasgow on Tuesday morning. 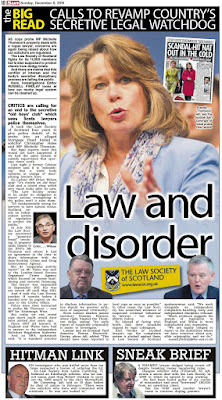 Mr Anwar added: "Following an interview she was charged with several alleged offences, including embezzlement of funds, breach of trust and an offence under the Scottish Independence Referendum Act 2013. 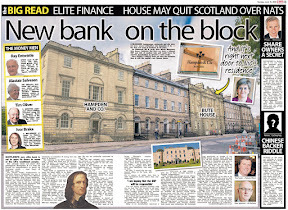 "She was released and there will now be a report to the procurator fiscal." 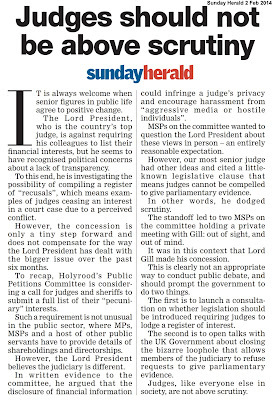 Ms McGarry has previously insisted there has been "no wrongdoing on her part". 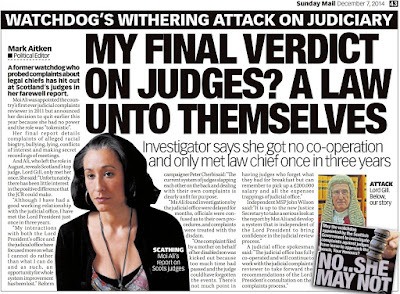 Both Women for Independence and the SNP said they would not be commenting on the case. re the twitter spat between you and the former prosecutor turned criminal defender - you were correct to ask for the figures on mortgages as the total payments from copfs on mortgage assistance lies buried in the £572,307.Probably forms the bulk of payments.The copfs reply is intentionally misleading as per their wording.